Third generation partner and winemaker, Peter Ficklin still guides the daily winemaking at Ficklin Vineyards in the production of their highly acclaimed Ports, and each step in crafting Ficklin's Ports receives his personal attention. Peter received his Bachelor of Science in Enology from the University of California at Davis in 1978, and began his vocation at Ficklin as Assistant Winemaker under the tutelage of his father, David. 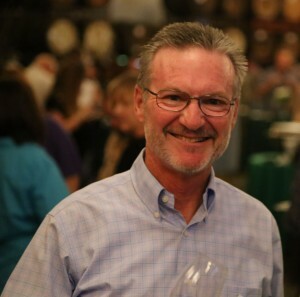 In 1983, Peter was named Winemaker, in 1991 became President of the family corporation, and in 2012 Peter accepted the Wine Lifetime Achievement Award from the California State Fair. During his career at Ficklin, Peter has not only continued producing the award-winning Old Vine Tinta Port from the Solera started in 1948, but also revived the Vintage Port program and founded a Tawny Port Solera producing 10, 15, 20 and 25 year-old Tawny Ports, all consistently receiving national recognition. His 1991 Vintage Port received an acclaimed Bronze Medal in Olympic-style judging at an International Port Competition, besting many Ports from Portugal. Still today, the 1991 Vintage Port continues to receive accolades, including a Gold Medal from the California State Fair in 2015. While truly a hands-on winemaker, Peter has also overseen the opening of the winery's Tasting Room in 2001, as well as the development and growth of the Ficklin Wine Club, the PortFolio Society. When not passionately involved in blending and creating fine Ports, he has conducted in depth educational Port seminars across the country, showcasing the quality and development of Ficklin products. Peter looks forward to continuing the long-standing tradition of producing hand-crafted premium Ports for many years to come.